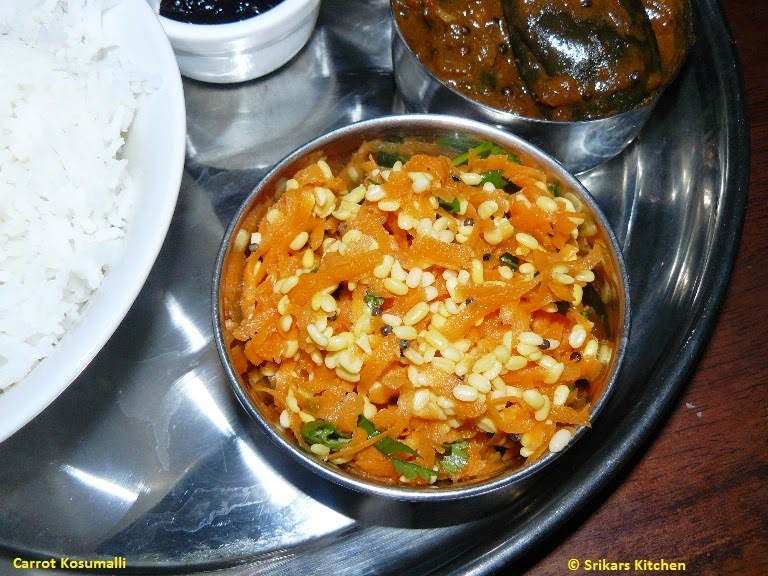 Kosumalli is a healthy veg & protein salad.Adding moong dal is good for health. It is a common dish in every tamil brahmin's Marriage ceremony. Soak the moong dal min 30-45 mins & drain it. Take a bowl add grated carrot,soaked moong dal, chopped coriander,salt & lemon juice. This is the Kosumalli mix. Heat oil in a little pan, add mustard seed,g.chilles & allow to temper. Add to the kosumalli & mix well. Simple n healthy salad :) looks colorful !